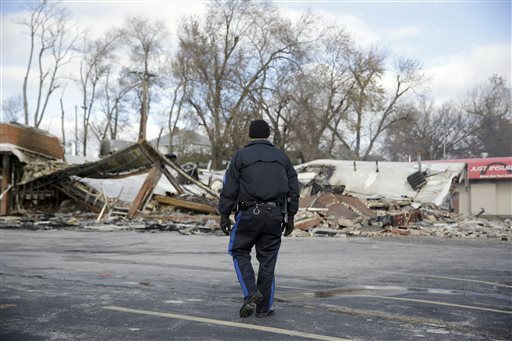 National Guard reinforcements helped contain the latest protests in Ferguson, preventing a second night of the chaos that led to arson and looting after a grand jury decided not to indict the white police officer who killed Michael Brown. As the tension in Ferguson eased somewhat, officer Darren Wilson broke his long public silence, insisting on national television that he could not have done anything differently in the confrontation with Brown. Other large demonstrations were held across the country for a second day. Hundreds of Seattle high school students walked out of classes, and several hundred people marched down a Cleveland freeway ramp to block rush-hour traffic. Associated Press writers Andale Gross, Alan Zagier and Phillip Lucas also contributed to this report.